Tummy Tuck in Baltimore for Mothers: Are You the Right Candidate? Many women celebrate pregnancy although it causes numerous physical changes even after childbirth. Some are left to face flab and excess fat in their tummy. The BabyCentre.co.uk staff offers an insight into this matter. It takes time for your body, and especially your tummy, to fully recover from pregnancy. 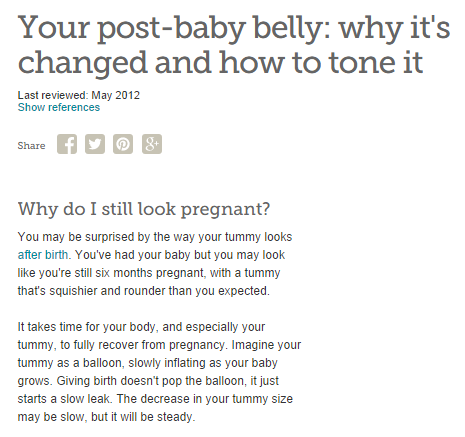 Imagine your tummy as a balloon, slowly inflating as your baby grows. Giving birth doesn’t pop the balloon, it just starts a slow leak. The decrease in your tummy size may be slow, but it will be steady. From the moment your baby is born, hormonal changes cause your tummy to decrease in size. It takes about four weeks for your uterus (womb) to contract to its pre-pregnancy size. All the cells in your body that swelled during pregnancy will begin releasing their fluids in the form of urine, vaginal secretions, and sweat. And any extra fat you put on to nourish your baby will start to burn off, especially if you’re breastfeeding and exercising. But it takes at least a few weeks to see noticeable results. There are moms who take more weeks to recover their once-slim tummy. Unfortunately, some mothers in Baltimore are not able to regain their previous taut tummy at all, even with a healthy dose of diet and physical exercise. For them, getting a tummy tuck in Baltimore would be a good idea. Sometimes referred to as abdominoplasty, a tummy tuck is a cosmetic procedure designed to remove the excess fat and skin in the abdominal area, which is usually the result of pregnancy. The effect is a firmer abdomen, making women look like they haven’t given birth at all. While effective, abdominoplasty is not for everyone. For instance, those who plan to get pregnant in the future are not advised to undergo the procedure. While it’s possible for women to have a safe pregnancy after a tummy tuck, they have to understand that getting pregnant will loosen their abdominal wall again, which means they would need to re-do the procedure after another childbirth. Another thing to look into is that moms can’t regain their original body figure through a tummy tuck alone. If they have other problem areas like unwanted fat in their hips, thighs, buttocks, arms, and neck, it might be necessary to combine a tummy tuck in Baltimore, MD with liposuction. In fact, the combo is said to yield the best results. Pregnancy should not be a major cause for worry for women who want to preserve their pre-motherhood bodies. While the “still-preggy” look may persist weeks after childbirth, board-certified plastic surgeons like Dr. Jeffrey Schreiber from the Baltimore Plastic and Cosmetic Surgery Center can help them get rid of it.